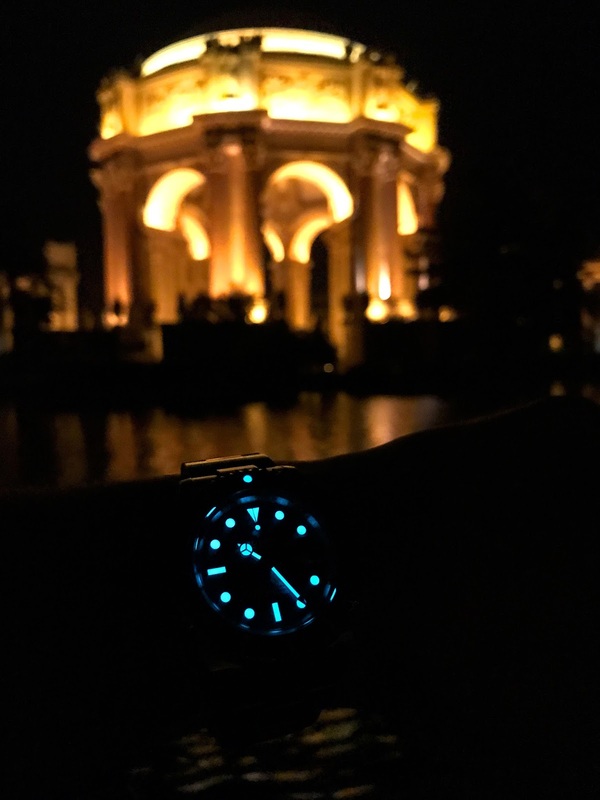 I took the Rolex Lume shots seen below in front of the Palace Of Fine Arts in San Francisco, of the Single Red SEA-DWELLER. I could not make up my mind as to which image I like better, so I am sharing both. 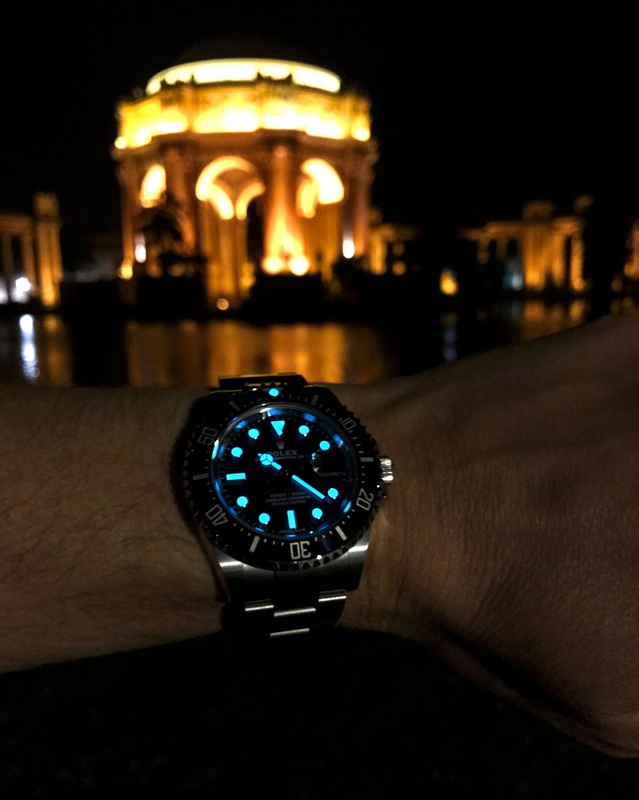 The first image shows only the markers, hands and bezel pearl glowing, and the lower photo shows much more dial detail.